Why would I need self storage in Evanston, IL? There are a variety of reasons why you might need self-storage in Evanston, IL. How much is a storage unit in Evanston, IL? The cheapest storage unit in Evanston, IL is $25.00 per month. What size storage units do you have available in Evanston, IL? In Evanston, IL we have sizes that range from 5'x5' to 10'x40' to suit your storage needs. How much is it for a 5'x5' storage unit in Evanston, IL? The cheapest 5'x5' storage unit in Evanston, IL is $25.00 per month. Perfectly positioned along the scenic shores of Lake Michigan, Evanston is a popular suburb known for its diverse commercial districts that offer an extensive variety of shops and restaurants. Located just 14 miles north of downtown Chicago, Evanston is a popular home base for commuters and people who enjoy easy access to big-city amenities. Evanston is a city of many amenities, with everything you need to enjoy a convenient, relaxed lifestyle. Every-day necessities like grocery stores, pharmacies, coffee shops and fitness centers are plentiful, and the area's public transportation network is well-connected. Getting to and around Evanston is easy; Kennedy Expressway, Edens Expressway and Lake Shore Drive can all be accessed from the city. Public transportation options include the Chicago Transit Authority, which operates the Purple Line that connects to the Chicago Loop. A bonus is that Chicago O'Hare International Airport is just 15 miles southeast of the city, which makes domestic and international air travel easy. Even though you can easily drive to Chicago for entertainment, you won't need to with all the options you have at home in Evanston. Whether you enjoy shopping, dining, arts and culture, or the great outdoors, the city has something for you. Public art displayed throughout the city adds a unique element to Evanston, and its numerous museums offer a close look at history, art, culture and more. With several distinct commercial districts, Evanston is a major shopping destination for people all over the Chicago area, especially in the northern suburbs. Each of the districts has its own unique personality, offering a variety of shops and restaurants. The downtown district is home to hundreds of different businesses, and nearly 100 different restaurants. It's easily walkable, and also offers residential buildings if you're interested in living in the heart of the city. If you're looking for the hippest shopping district in Evanston, you'll want to make a stop on Dempster Street. Most of the businesses there are small, locally-owned and considered very stylish. The most eclectic shops in the city are generally clustered along Central Street, which is known for its vintage, small-town vibe. The Evanston Township High School District 202 and Evanston-Skokie Community Consolidated School District 65 oversee the public elementary, middle and high schools in the city. There's also a large variety of private schools in the city, including parochial, Montessori and experiential-learning campuses. Utilities: Commonwealth Edison supplies electricity to all homes in Evanston, and Nicor Gas is the city's natural gas provider. The city facilitates residential water and sewer services. Garbage and Recycling: Trash, recyclables, yard waste and food waste are all part of the disposal and collection program in Evanston. Transportation: Major public transit options in Evanston include the Metra rail, Pace Bus and the CTA Purple Line. 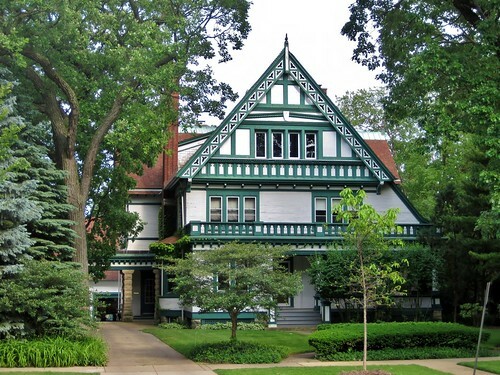 From postcard-perfect houses on tree-lined avenues to modern apartments in the heart of the city, Evanston's housing market has properties to suit all tastes. If you want a home with views of the shimmering waters of Lake Michigan, then start your property search along Sheridan Road or the upscale Lake Shore Boulevard. If you would like to live in the heart of the action ? near restaurants and entertainment then try looking at properties along Central Street, Main Street and Dempster Street, or in the shop-filled Southwest District. Our lowest priced units in Evanston, IL average $25.00 per month. 51 people have reserved units in Evanston, IL in the past 30 days. There is 1 location within Evanston, IL's city limits. There is 1 location in Evanston, IL that offers AC and Heating features.